Brutus AET2 is one of the most commonly used password cracker software around. Cracking someone’s personal security sometimes exciting but it is a clear violation also on the other hand. What might be the positive side of this is the art of discovery and merely for the purpose of fun and learning, and nothing else. For those who are interested, irrespective of motivation, here’s how to use Brutus: 1. Download Brutus. After downloading, extract the zip files where you’ve downloaded Brutus. Open the.exe application file. Now on your screen, type Pop.Mail.Yahoo in Target (or any email you wish to open). In Connection and Timeout, select 60. In Authentication Option, select Single Username. Type any random name in User ID. Select Brute Force in Passcode. Type the range you want in Range. Click Ok then Start. Presto, you have the password you want to know! (This take some time so just wait and be patient) See also related topics @. Brutus - The Remote Password Cracker News & Announcements 9th July 2002 - Something new this way comes. 15th August 2001 - No Brutus news, but you might find of interest Introduction Brutus is one of the fastest, most flexible remote password crackers you can get your hands on - it's also free. It is available for Windows 9x, NT and 2000, there is no UN*X version available although it is a possibility at some point in the future. Brutus was first made publicly available in October 1998 and since that time there have been at least 70,000 downloads and over 175,000 visitors to this page. Development continues so new releases will be available in the near future. Brutus was written originally to help me check routers etc. 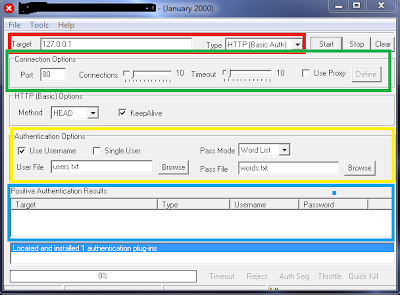 For default and common passwords Features Brutus version AET2 is the current release and includes the following authentication types: HTTP (Basic Authentication) HTTP (HTML Form/CGI) POP3 FTP SMB Telnet Other types such as IMAP, NNTP, NetBus etc are freely downloadable from this site and simply imported into your copy of Brutus. You can create your own types or use other peoples. Hacking e-mails using Brutus. Bengali Typing Software For Pagemaker Software Softonic. Thursday, 13 December 2012. This is only for general educational understanding and is not for hacking someones account for wrong purposes will be illegal and is a crime punishable by law across the world. Before we start note that this will not work for gmail, Facebook and.